Ten Poems about Dogs pays tribute to man’s – and woman’s – best friend. 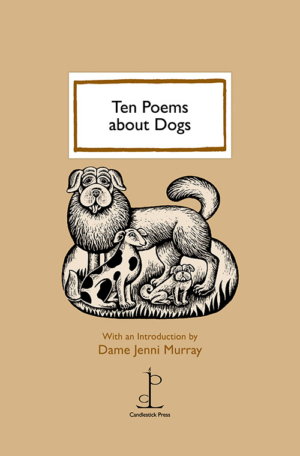 Introduced by much-loved broadcaster and author Dame Jenni Murray, the poems reveal the great affection people feel for their dogs (and dogs for their owners). In amongst alternately poignant and hilarious accounts of dog-ownership, are some slightly unsociable aspects, like the neighbours’ dog in Billy Collins’ poem, which barks loud and long every time they go out… .